Heard about the man who stole a bench from the bus-stop to decorate his house? Well, IKEA surely did. The incident, which occurred in June last year, has seen the accused sentenced to a seven day detention after a court hearing recently. In line with the news, IKEA Singapore decided to turn it around posted a cheeky post on its Facebook page. The caption said, “Bring home a way more affordable bench from our store (not the bus stop)”. The post has since garnered over 1,500 likes, 767 shares and 71 comments at the time of writing. IKEA’s post was met with positive response from netizens, most of whom praised the retailer’s marketing move. 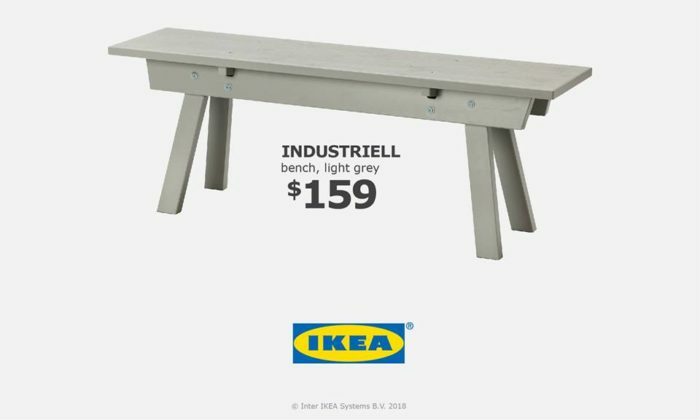 One of the netizens commented that IKEA could have named the bench “BASSTORP”, to which IKEA responded with a link to its other bench called “MOSTORP”. Other occasions where the brand got witty included a recent swipe at the viral video online surrounding a sales lady promoting and demonstrating a top in a hilarious way. In a Facebook post, IKEA posted its “S” hook with a caption that said, “For you to ‘hoot’ anything you like”. With over 4,ooo likes, 3,145 shares and 499 comments at the time of writing, majority of the reactions from netizens were positive. In turn, IKEA also responded with a “singlish” slang, to sound similar to the sales lady. Pie was founded in 2014 by former BBH executives. More here. .. The move comes amidst a recent workforce reduction plan in March, which impacted 7% of its global headcount – primarily in enginee..
A battle royal is underway over who will dominate Hong Kong’s free newspaper market, with Next Media and Oriental Press Group both..